Without a doubt the best way to experience Egypte is to cruise along the Nile. Even just being docked along the quay in Aswan gives a special oasis sensation, hectic noise of the bustle of the city included. 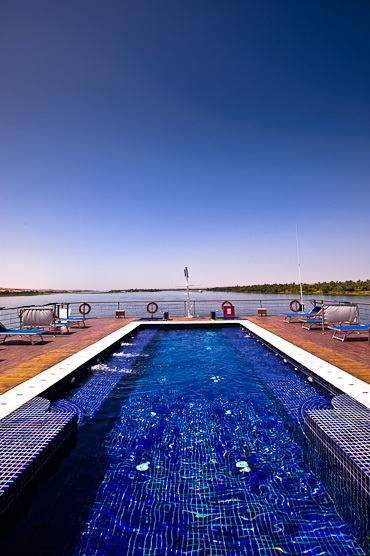 The new style to cruise the Nile is boarding the ultra-luxurious Nilecruiser the Oberoi Zahra. Sleek, minimal, stylish (only too bad about the fake woods on the floor). 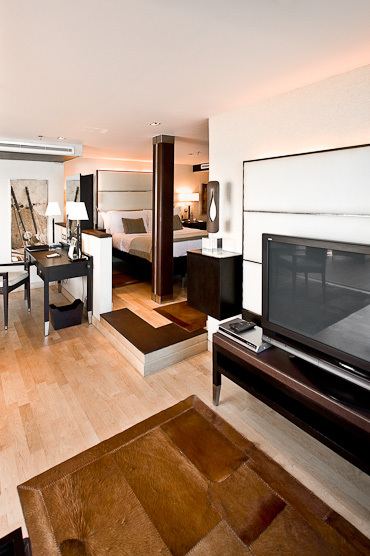 Every room has floor-to-ceiling windows, even the bathrooms. She has dedicated private mooring places to avoid the hectic piers where all the other cruisers board. Of course the Zahra comes with a price but for those who can stand the sizzling heat of the Egyptian summermonths the Zahra offers a reasonable price. After all, Egypt is all about the desertheat and that special steamy atmosphere.